Over the last year, I have been delivering Cultural Intelligence and Ethical Leadership programmes across a number of industries and locations around the world. This is a topic that I find fascinating because the link between culture and ethics is so interconnected; it always contributes to a further layer of complexity when working across borders. It doesn�t matter what the industry or the location, often the issues and concerns can be quite similar. As you would expect, leaders need to both demonstrate and engage in behaviour that is culturally inclusive and ethically acceptable within their organisations and the countries that they work in. A culturally intelligent leader has the awareness and agility to recognise that what is ethical in his/her own country is not necessarily deemed as ethical in another country. Sometimes it can be difficult to recognise a dilemma but it is always useful to be attuned to one�s intuition because, as I find, that �feeling in the gut� is a signal that attention is needed. Apart from using company guidelines and codes of conduct as guides as to what is culturally acceptable and unacceptable behaviour, it is also useful to have a framework for ethical decision making such as the RIGHT model (Ethicability, Roger Steares; 2011). A further action that can be useful when making decisions, is to engage in social decision-making by engaging a group of people to help you work through a problem. This is particularly useful in ethical dilemmas because the diversity of thinking tends to offer various solutions. A litmus test is a further option, for example asking yourself "if this was reported in tomorrow�s national press, would it be embarrassing for the organisation and yourself?" I realise that this adds another layer of intricacy when working across borders but there is no escaping the reality that corporate culture needs to respect the national culture that it is working in. Business ethics happens in the social and cultural environments, not in seclusion. Although many organisations do the right thing by giving ethics the attention that it deserves; for example by providing ethics and compliance training programs, it seems as though unethical behaviour is actually increasing rather than declining as you would probably expect. Why is this the case? It seems as though bias plays a significant role in ethical behaviour. 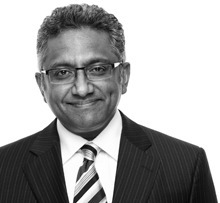 I touched briefly on bias in my March newsletter, �Leadership and Its Shadow�. As leaders we need to regularly check our conscious and unconscious biases. An elevated level of self-awareness is critical when we are working in the area of ethics, especially when we are working in cultures that are different to our own. 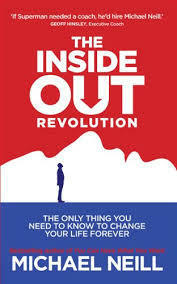 Following on from a Michael Neill workshop that I did last year I would like to recommend his latest book �The Inside Out Revolution.� It is a short, pragmatic, easy to read book that contains a handful of stories and case studies. He writes in a conversational tone that makes for a good read. Michel�s approach is built around three simple principles the mind, consciousness and thoughts. These principles explain where our feelings come from and how our experience of life can be transformed. He claims that once these principles are understood we have the ability to tap into a deeper intelligence, become more resilient and improve our creativity. I particularly liked his simple truth, which is that we tend to live in the feeling of our thinking, rather than in the feeling of the world and that once this is realised life becomes much easier.